Two kilos heavier, three shades darker and several hundred euros lighter.... I'm back from holiday and struggling to mentally adjust to the early mornings and use of brain power. Siena was - not unexpectedly - fantastic. The atmosphere surrounding the Palio has to be felt to be believed, and no matter how many times you see it, it never fails to take your breath away. The one disappointment from the Siena part of our trip was that we found it hard to get a table in restaurants (obviously, due to the number of Palio visitors), and although we planned an epic meal at what is reputed to be the city’s best restaurant on our last night, our timing was poor as it turned out that it and, in fact, all of the best restaurants were closed, regardless of whether or not it was their officially closing day – simply because they had all worked so much over the Palio weekend. Even so, we still ate well (it’s difficult not to in Toscana) and spent many a lazy day by the pool (just to ensure that all of that pasta, rich meat sauce and ice cream would be immediately deposited on the thigh area, as is the holiday tradition….). Rome was great too, although I could have done with a degree or two less; traipsing around the tourist spots at midday in 39°c heat with a crowd-sensitive Sicilian is enough to test anyone’s resistance! We stayed at the Albergo Cesàri in Via di Pietra(http://www.albergocesari.it/italiano/hotel.htm) – a small but very well-run hotel right in the centre of the centre, a five minute walk from the Pantheon in one direction and the Trevi Fountain in the other. The picture at the top of this post is of the hotel’s roof terrace, from where historic Rome barman, Camillo serves his even more historic cocktails – many of which are his own creations, resulting from years of world travel and experience. The only ‘problem’ with the Cesàri was that, given its super-central location, it is impossible to arrive by car. The ZTL (zona traffic limitato – restricted traffic zone) covers around 4 square kilometers and so all visions of us breezing into the nearest ‘free’ zone, leaving the car and strolling 100 metres to the hotel were all but shattered on arrival. Having circulated the centre so many times that even the Tom Tom was started to sound frustrated (“freaking turn around when able for the love of God….”), we pulled over to call the hotel and were informed that they are almost precisely 2 kilometres from the closest ZTL entry. Yikes. We had driven from Tuscany with 10 days’ worth of luggage, in skin-splitting heat and weren’t about to drag ourselves through the streets of Rome like sherpers, so we dumped the car in a frighteningly expensive multi-story car park and got a taxi to the hotel. Great planning, Emma. Having got that little drama out of the way, we enjoyed our time in Rome. We had a couple of excellent meals (do I talk too much about food???) – definitely worth a plug is Ristorante Federico Primo in Via della Colonna Antonnina (http://www.federicoprimo.it/). The Federico Primo is a delightful little restaurant right around the corner from our hotel in a side-street adjacent to Piazza Montecittorio (where the Italian government is based). 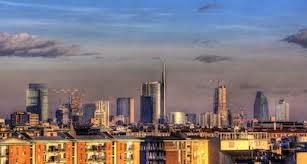 It was booked for us by Camillo, as is run by a friend of his, and provided us with one of the few genuinely honest, good quality experiences that we had in Rome. Unfortunately, with what seems like 90% of the Roman population on the beach for the entire month of August, the city becomes ripe for ripping off the poor unsuspecting tourists left behind. We were overcharged and disregarded at every turn, despite Luca’s menacing Sicilian demeanor and street-wise character. They just don’t give a damn… Anyway, this didn’t happen at the Federico I, we ate exceptionally well and had fantastic service. When the rather heavy bill arrived we didn’t even mind as it was definitely worth it. Highly recommended if you’re ‘in zona’. It was great to go back to Siena after all these years, even though my memory has faded so much I didn’t even remember some of the streets close to where I used to live (Luca says it’s because I was drunk most of the time – no comment) and the flying visit to Rome made for a nice end to the trip. I also have to say a big thank you to Alex from Blog from Italy (http://www.blogfromitaly.com/) for recommending the Cesàri. Sorry Alex, I think the cat is well and truly out of the bag!! Wonderful, wonderful post! I'm taking these with me the next time I travel up north. Yes the Romans do the whole 'ripping off the tourists' thing really well. They can also be very warm wonderful people - but yeah if you're in the historical centre you'll have to expect high prices and some cynical operators. My sister in law and her family were once charged 9 euro per botttle of beer near Piazza Navona. :( We hardly ever go to the historical centre but I plan to go to dinner there for my b'day next month. Maybe I'll check out the place you recommend. It's that or Thai food!